Dr. Jeffrey Epstein, director and founder of the Foundation for Hair Restoration and Plastic Surgery, has launched a new website for his practice designed to better educate and inform new and existing patients about the various ways to treat hair loss. For men and women looking to learn more about hair restoration, http://www.foundhair.com features over 10,000 before and after hair transplant photos, as well as detailed information about the basics of hair transplants including how they work and what patients can expect from the procedures. Additionally, the website goes into more detail about the various types of hair transplant procedures available at the Foundation for Hair Restoration and Plastic Surgery including follicular unit extraction (FUE) procedures, reparative procedures, hairline advancement techniques, laser light therapy, Platelet Rich Plasma, and non-surgical solutions. The website also features information and an extensive supply of photos showing eyebrow, beard, and body hair transplants. To help potential patients see firsthand the results that can be achieved through hair restoration, Dr. Epstein has included numerous photos of patients who have undergone many of the aforementioned hair transplant procedures. Many of these patients who have achieved superior results have participated in testimonials that are also included on the website. 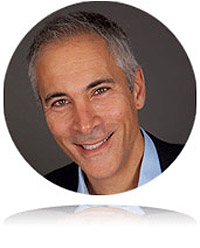 Dr. Epstein has devoted several portions of the new website to educating the public more about hair loss and treatment options, to allow them to make educated decisions. The new user-friendly site, developed in WordPress Responsive Design, features information about pricing and financing, as well as information for those patients that will be traveling from out of town for their procedure. Dr. Epstein has also added a virtual consultation component to the site enabling patients to participate in a live consultation via web camera. With over 24 years’ experience as a facial plastic and reconstructive surgeon and over 20 years’ experience as a hair restoration surgeon, Dr. Epstein is board certified in facial plastic and reconstructive surgery, otolaryngology, and hair restoration surgery. Through the Foundation for Hair Restoration and Plastic Surgery, he oversees a staff of 15 full-time assistants. Dr. Epstein is also one of the most recognized experts in his field having performed over 10,000 hair transplant procedures.